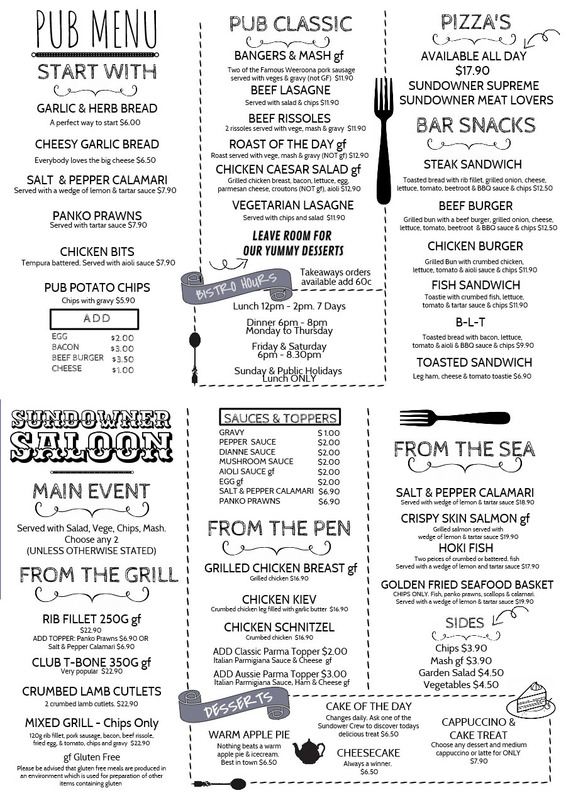 Our lunch and dinner menu is full of variety and with great prices to match, why not stop by on your next outing! Everyday is full of value! 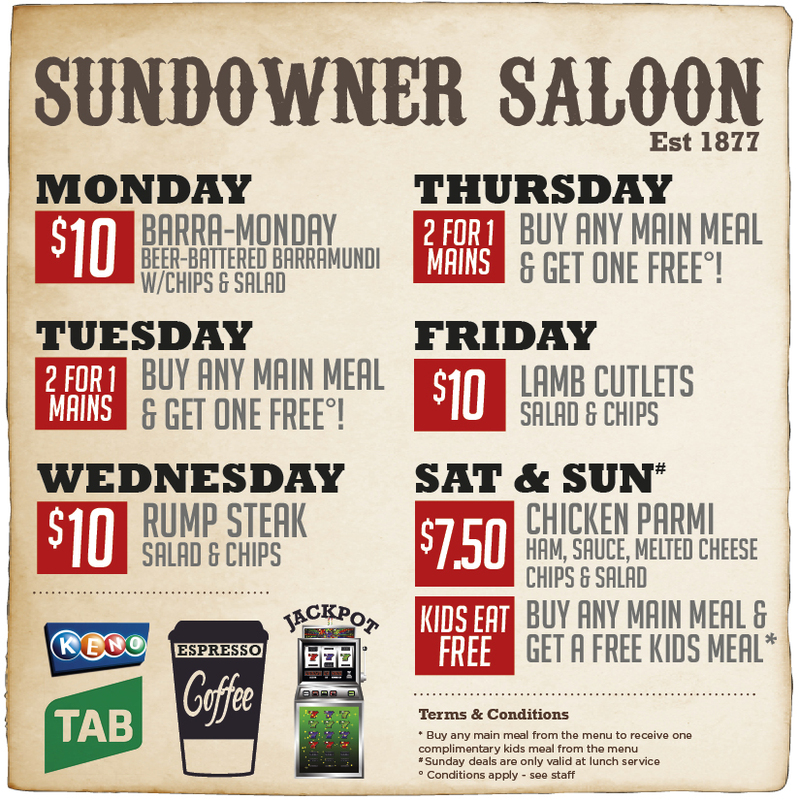 Our famous Parmi's are a must try! 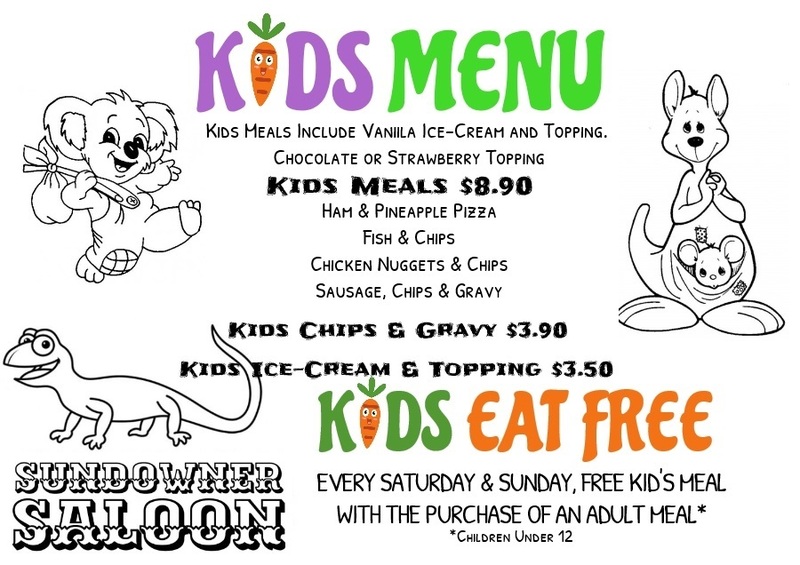 All of the kiddies favourites at a great price! 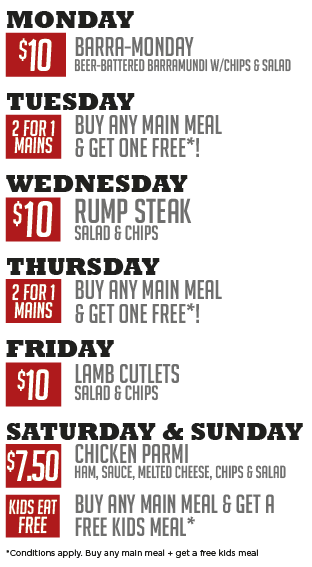 don't forget kids eat free on Saturday and Sunday too!